Oman is one of the richest countries in the Gulf region mainly due to the high volume of petroleum reservoir they have. Being located at the entrance of the Gulf region, Oman is the first country reachable from shipment route. From an early trading stage, Oman was considered as the entrance to Gulf region. India and Oman share a great international relation and the trade relation between India and Oman started even before Britishers came to India. In the current situation, many Indians are migrating to Oman for a better job and living status compare to what we expect in India. Since there are a lot of migrations are going on, A process is already set up for the national safety purpose. As a part of the process, attesting the requested individual certificates also a mandatory step. Hence, as per the requested visa, Attestation documents will vary. Employment Visa Attestation, Birth Certificate Attestation, Education Certificate Attestation are the most known and frequently requested attestation for migration formalities. In this chapter, we will discuss the Oman attestation procedure through the Oman embassy attestation. In case you want to know the process for educational certificate attestation, please refer “How to do Education Certificate Attestation in Oman”. Education certificate attestation is the most common attestation requested by Gulf countries. The requested immigrants who want the visa for job opportunities need degree certificate attestation for processing the attestation. Here is the process for Education attestation. Degree certificate or your utmost educational certificate is needed for attestation, requesters are advised to claim or correct their certificate from respective university to have smooth and fast attestation. Passport is the only document which can be used as your identity on the international platform. Hence, keep your passport ready and updated for showing your national identity. Below is the formal procedure for educational certificate attestation. Attestation from state home department is the initial step while doing the education certificate attestation. The requester himself need to submit the required documents to State HRD for the certificate. After the submission, officials from the home department will assign an officer to investigate the certificate genuinely. The officer will do a ground investigation and will collect the data from the certificate source university and will match the certificate information and confirm the credibility of the certificate. They will prepare a report and will submit to the home department. Home department will validate the report and will consider the certificate for attestation. With an official seal and signature, home department will attest the certificate and will pass it to the Ministry of External Affairs. Ministry of External Affairs will check the certificate after they receive it from State home department. The certificate received from state home department will be an attested certificate along with investigation report details. MEA will verify the report and attestation of the certificate to decide whether the certificate genuine or not. Based on the verification result, MEA will attest the certificate and this MEA attestation will declare the certificate as genuine on behalf on the Indian government. At the same time, MEA will also attest the certificate with a special stamp for the apostille attestation since Oman is part Hague convention countries. All Hague Convention countries do want to do apostille and they only required one certification for one time. Once the attestation and apostille processes are completed the certificate will pass on to the Indian Embassy for further certificate attestation. Soon after the MEA attestation and apostille formalities, the certificate will send out to Oman EMbassy for further certificate attestation procedure. Oman embassy in India will receive the certificate and will check the attestation and apostille details, and will also check the additional verification in the Hague Conventions Official site to see if the data uploaded in the system is correct or not. Once the verification is done, Attestation will be performed on the education certificate and send it out to Oman Ministry of foreign affairs for further process. That would be the final stage of certification. Once the certificate attestation from Oman embassy has been performed, Embassy will pass on the certificate to Oman Ministry of Foreign Affairs for the final attestation step. MOFA will check the certificate and its attestations from India, they will check the attestations and reports and based on the certificate attestations and remarks They will do the MOFA attestation and that will be considered as the certificate is valid all over Oman. Once the certificate is attested, the requester can proceed with further visa formalities. Non-education Document attestations consist of attesting marriage certificate, birth certificate, etc. These certificates normally requested to attest as for the supporting document for the job or the requester bringing his spouse and kids to host country. Requesters should submit their original marriage certificate for bringing spouse and birth certificate need to be submitted in case your infant accompanying you. Requesters are advised to clear their document status before their immigration request. Passport is the international accepted proof for your national Identity. Hence, a copy of your and your wife’s passport needs to be submitted. Passport copy of Father and child is mandatory to have a smooth certificate attestation. Passport clear the requester and his child’s citizenship status. Home Department Attestation is the first step to be performed for attesting the certificates. Certificate holder can submit the certificate in the home department and officials will do a verification at ground level. After the verification, Home department will attest the certificate and will send it to the Ministry of External Affairs. After receiving the certificate from the Home Department, MEA will check the certificate and its credibility through attestation and remarks from the home department. MEA will attest the certificate once the credibility of the certificate has been proven and will send out the certificate to the Oman embassy for their attestation. Before they sending out the certificate MEA will also do a special apostille stamping in attestation since Oman is part of Hague Convention nations and the process for such countries are doing an apostille. This means India will upload the details of the certificate attestation and requester details on official Hague convention site so that details can be retrieved by the host country. Oman Embassy in India will receive the attested certificate from MEA and They will check the apostille certificate and also verify the details with the online info uploaded at the official site. Through that, the Oman embassy will attest the certificate. Oman Ministry of Foreign Affairs will receive the certificate after the Oman Embassy attestation. MOFA will check the details and remarks from Oman Embassy and Indian officials to validate the certificate. Based on the result, they will approve the certificate for attestation. Through their MOFA attestation, MOFA will declare that the certificate will be valid throughout Oman. 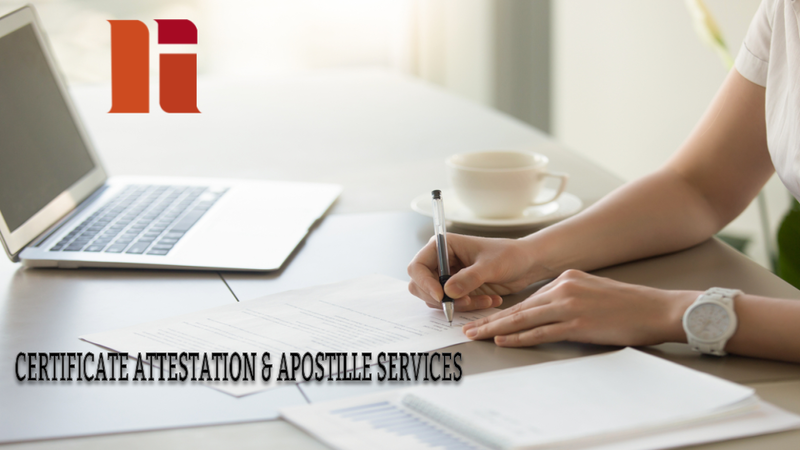 Attestations and apostille services are time-consuming due to the international securities are the concerning part. However, the best way to deal with attestations is to assign the whole certificate attestation procedure to a Certificate Attestation Agencies. Attestation Agencies provide the certificate attestation through Oman Embassy within 7 Indian working days at a reasonable Attestation Charges. NEW INDIA Attestation is considered to be one of the best Certificate Attestation Companies in Oman and offers Professional Attestation Services and even provide Urgent Certificate Attestation by strictly following the Certificate Attestation Rules. For more information about the services provided please check their official site https://www.newindiaattestation.com/.